I think most people would be surprised as to how far Disney goes to achieve authenticity. Whenever Disney creates an attraction so much time and effort goes toward maintaining the illusion that guests are in a specific place or story. One testament to this (well three actually) sit, often overlooked in the United Kingdom pavilion in Epcot’s World Showcase. The three bright red phone booths may just seem like another detail to make the United Kingdom pavilion appear authentic but their authenticity goes beyond their mere appearance. If you take the time to explore these phone booths you may just discover a little secret that very few guests know. Take the time to step inside and don’t be surprise if you receive a call. That’s right they are actual working phone booths! Okay, you may be saying, “What’s the big deal about an actual working phone booth?” Besides the fact that they are pretty much extinct, these booths in Epcot can be a lot of fun. For instance…. My Walt Disney World geekdom led me to the discovery of this secret and the numbers for each phone before our last trip. So I collaborated with my mom to devise a little surprise for my sister. I gave my mom the phone numbers and told her when we would be going to Epcot and to have her phone ready. 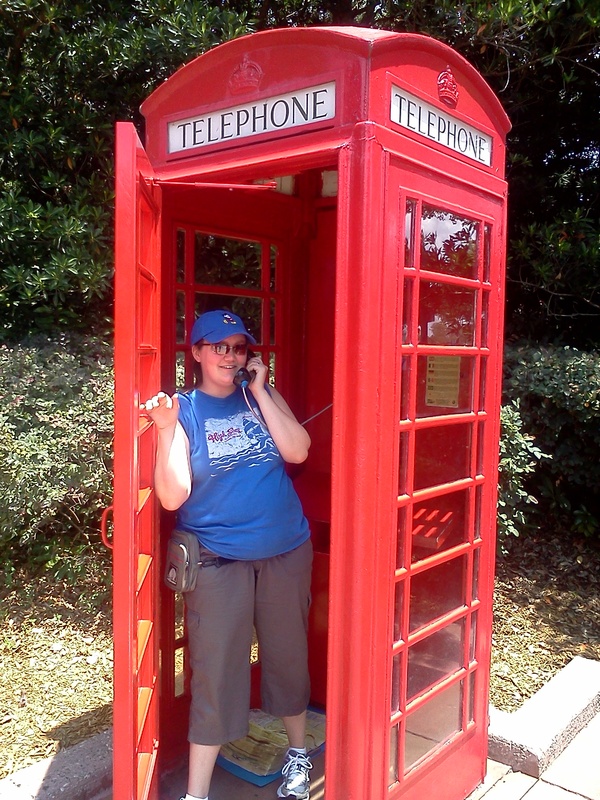 As we neared the UK pavilion I texted her and slyly led everyone over to the phone booths so we could explore. Then the booth my sister was explore began to ring. She looked at me puzzled and I said, “Well, answer it!” There was a moment of brief confusion after she answered but I could tell by the look on her face when she finally realized who she was speaking to. As we made our way through World Showcase I broke out my phone and gave the phone booth right off the main walkway a call. A man picked up and I told him we were looking for someone from our group who was missing. I then described this missing member as having large ears, wearing white gloves, with red shorts and yellow shoes. The man then replied, “I am not the one you need to be talking to.” a nd handed the phone off. Next thing I know I was speaking with a girl I would have guessed to be about five years old. I then once again describe the missing member of our party and asked if she would keep an eye out for him and tell him we are looking for him. Between surprising my sister and speaking to that little girl, it was a fun little way to do something off the beaten path to “plus” our WDW vacation. Walt Disney World is full of free, fun and easy ways to create unique lasting memories for each trip. 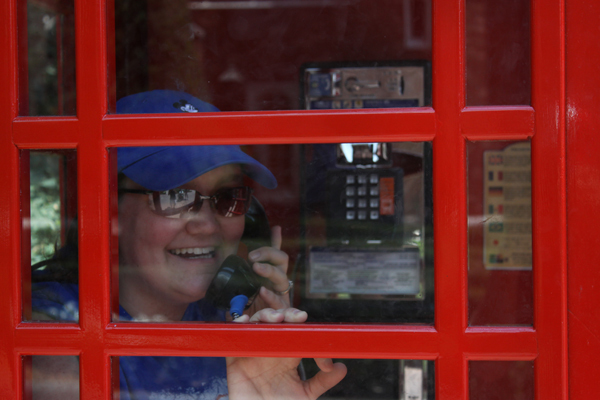 The phone booths in the United Kingdom is one of those and I encourage you to take time to not only check out the phone booths but to notice the details that surround you in the World whether they appear to be authentic or actually are. This entry was posted in EPCOT, Hidden Treasure and tagged travel, vacation, Walt Disney World. Bookmark the permalink.